TomatoUSB allows you to mount a USB drive to your Tomato router, creating a NAS server which can be used for media streaming and file sharing. 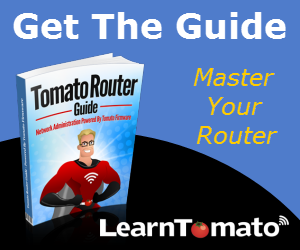 For this feature to work, your Tomato router must be equipped with a USB connection and have a version of Tomato firmware that provides TomatoUSB support. What is a NAS Server? A NAS (Network Attached Storage) server will allow you to store files and folders conveniently in one central location and access them from anywhere in your LAN. 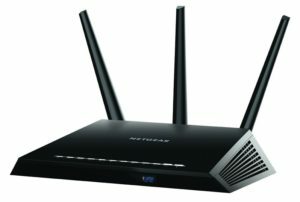 You can also access your NAS remotely using FTP or a private VPN network. This way, you can turn off those power-hungry computers, and access your files from a low-power USB drive connected to your router. I cover how to do that in the videos, but for now, let’s proceed under the assumption that we are connecting from inside of our LAN. I’m just using an old spare 4GB USB 2.0 flash drive. 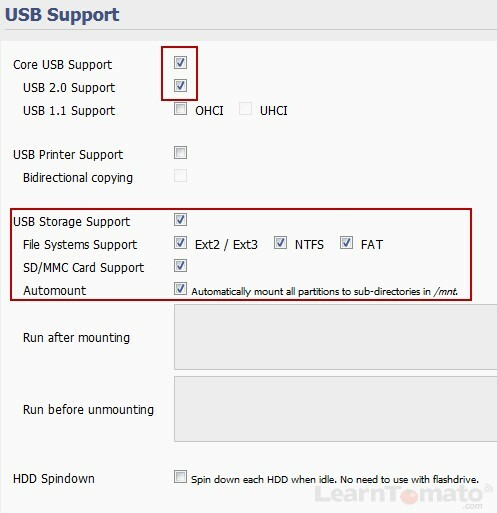 Enable the TomatoUSB core support option and select your drive format (Ext2/Ext3, NTFS, FAT). Ext2 and Ext3 are Linux file formats, and NTFS was designed for Windows. FAT file format is commonly used for USB flash drives because it is recognized by most major operating systems. Optionally, you can select ‘Automount’ to mount the USB drive automatically. After you click ‘Save’, plug in your USB drive and the router should mount the USB drive. We are still on the same page at this point. If you scroll down, you should see that the USB has been mounted and is now available for use. NOTE: Before disconnecting the USB drive, it is recommended that you login to the router, and click ‘Unmount’ and click ‘Save’. 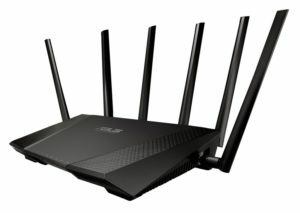 Doing so will prevent potential data loss when you disconnect the USB drive from the router. Now let’s setup file sharing. When ‘Yes, no authentication required’, is selected, anyone on your network will be able to browse files and folder on your NAS. With ‘Yes, Authentication required’ selected, you’ll be presented with the option to enter a username and password. Now let’s give our “NAS Server” a hostname. Enter a hostname for your router. 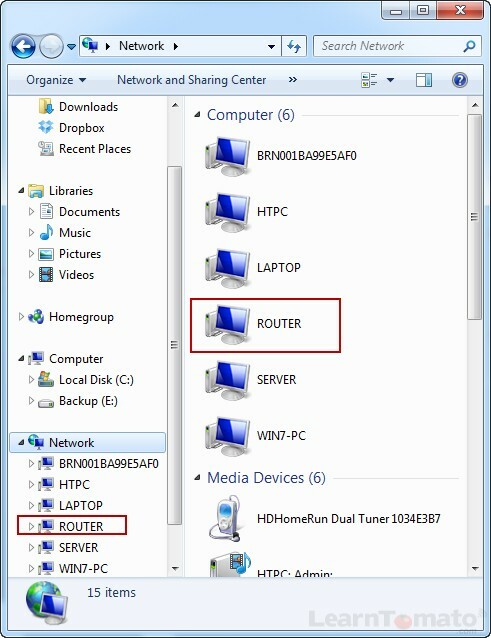 The ‘Hostname’ is the name you will see when you browse network locations from your computer. You can name this whatever you like, but do not use spaces in the hostname. Now, locate your new TomatoUSB powered NAS storage device by browsing network locations. 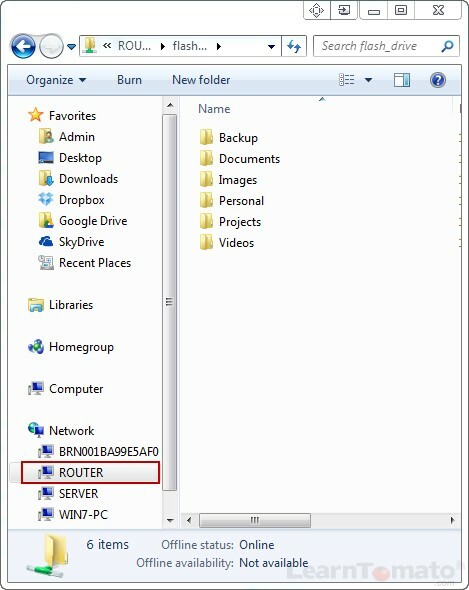 Click on the hostname of your router to access the files and folders on the USB drive. If you selected the option ‘Yes, Authentication Required’, you will be prompted to enter the username and password prior to gaining access to your files.